Well, another chess season has come to a close for me. It is time for me to move on to managing the website for my other hobby (http://spamfootball.webs.com/), but I will return after the football season ends. Before I go, I wanted to clean up some loose ends. Of course, you can still send in news items or articles during the off-season, and I will email them along to the subscribers. Any games I receive will be stored at the Colorado Springs Chess News’ Yahoo! group (http://games.groups.yahoo.com/group/cs_chess/). 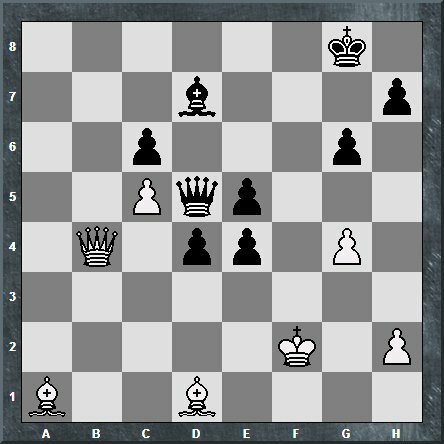 You can also join the group to keep receiving chess games all year round. So, before I finish typing my chess thoughts for another year, I want to thank all the people who sent in games and articles, all the people who took the time to tell me something nice about the newsletter, and all the people who take the time to read this. In addition to the statistics, I authored 3 more articles for the Colorado Chess Informant, including one about my upset victory over LM Brian Wall. It was a great milestone for me! His humorous chess emails inspired me to write about chess and helped me become an expert. The win was my first over Brian in rated play and set a new record for my highest rated win (old record: NM Josh Bloomer - 2222). If anyone sets his heart on being a Bishop, he desires a noble task. For the Bishops are the most faithful of all the pieces. Whatever color square they start on, they will never leave it. Now the Bishops must be next to the King or Queen and be the pieces of but one color. While the other pieces may move from one color to another, the Bishops will always be faithful. Since he cannot move onto the other color, he can only touch half the squares of the board. He needs a friend to cover the rest of the squares. He can capture any enemy piece that gets on his diagonal with lightning speed. He darts at an angle as many squares as he wants. However, he makes sure not to touch the other color. The Bishop will take on any mission. He will defend the King, he will lay down his life, and he will capture his King's enemies. But most importantly, he relies on his friends to help him go where he cannot. How will you use the bishop? You will have to play to find out! The past couple of years Brian has entertained and challenged himself by playing the same opening in every game. This year’s edition has been The Lemming (1. Anything Na6) and The Double Lemming (1. Anything Na6 2. Almost Anything …and eventually Nh6). By move 3, we were out of book and by move 5, I got to play against the Double Lemming! Also, I decided not to trade off my better Bishop for one of his Lemmings. Now Brian opts to keep his Bishop pair to support his Pawn center. Since he already sacrificed a Knight for a couple of Pawns and is down in material, it was an understandable choice. 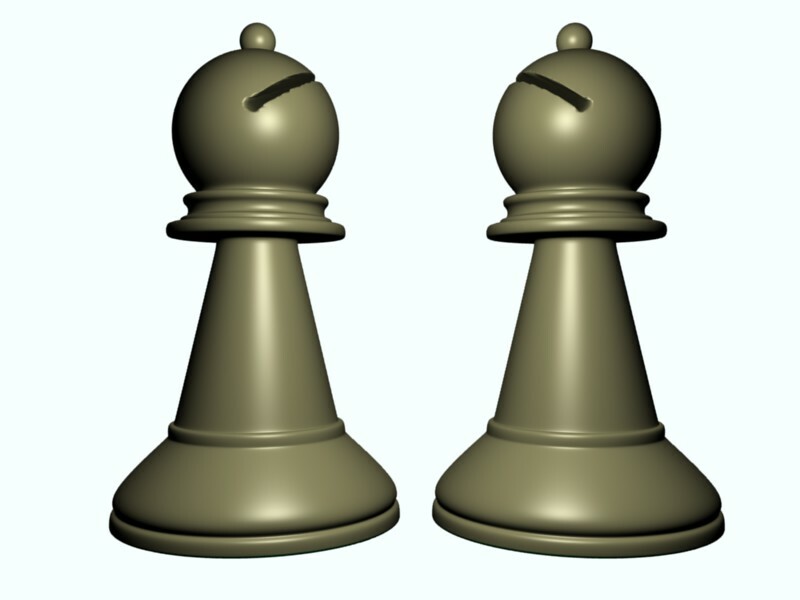 You want to trade Pawns not pieces when down material. In hindsight, he might regret not getting rid of my light-squared Bishop. I was pretty happy with his sacrifice and having the Bishop pair, as I was just hoping for a draw in a new time control. The Pawns are getting scary now, but my hopes for a draw are still alive with the Bishop pair that can get to his King if those Pawns move out of the center or my Queen can wreck havoc on the back rank. I wrote a song verse for you to use if you decide to publish your game against Brian from Shirley's MLK tournament (which I am sure you will). 19. Qd2 Rf7 20. b4 a5 21. Na4 axb4 22. axb4 Qf8 23. Ba3 Rxf3 24. Rxf3 Qxf3 25. On August 19th, the Colorado Springs Chess Club held its 3rd Tuesday of the month event: Quick Swiss. However, the players agreed to change the Swiss tournament to a Round Robin tournament after Jeff Fox's suggestion and extended the delay to 5 seconds after Earle Wikle's preference. Earle's change paid bigger dividends, as he tied with NM Buck Buchanan for the 1st place tour points.